represents many decades of individual success stories in the professional beauty industry. Bridging all generations, each brings their own brand of knowledge and passion to the creative, trendsetting world of the STRANDS colorist.STRANDS is synonymous with professionals creating color for professionals. Owning our own salons, spas and schools gives us direct access to observe practical product performance on an ongoing basis. STRANDS must consistently perform within our own real world of color use — before we would ever introduce anything to you. Being in the business, our internal standards are critically high — and STRANDS has passed with flying colors. As we proudly launch our color collection nationally, we know you’ll agree … STRANDS is colorist-worthy and ready-to-wear for your fashion aware clients throughout the country. As our tag line says: Discover Strands … and Ignite Your Color Passion! 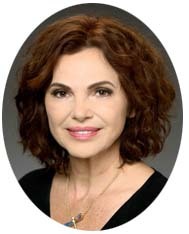 European-born and Paris-educated as a salon-spa professional, Mirela’s successful and seasoned entrepreneurial side has been in full bloom since moving from Romania to Paris and on to California in 1989. 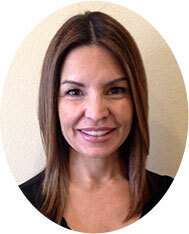 After opening her high-end Mirela’s Spa du Jour in La Quinta, CA, a full-service salon. Mirela’s penchant for cosmetic chemistry and passion for color is now reflected in STRANDS. She formulated the line to literally ‘fill in those missing gaps’ that she and other colorists were experiencing with their bigger, more established lines. Internationally respected and highly credentialed, Mirela began her professional beauty career over 25 years ago, staring in Romania and then on to Paris where she and her young family defected in search of a better life and freedom from a Communist-controlled country. It was in Paris in her first four years there that she experienced notable professional growth, learning about the country and its culture, the French beauty industry and acquiring customer service, sales and teaching experience. With the help of friends, Mirela and family moved from Paris to Palm Springs. It was here that both her technical skills and entrepreneurial ambitions came into balance as a successful businesswoman. In addition to her salon/spa, Mirela now owns several beauty service and product boutiques (Mirela & Associates Skin Care and Body Care), two distributorships (Beauty 4 Pros) and the famous International Schools of Beauty in La Quinta and Indio. Having worked for several major beauty industry manufacturers as an educator, Mirela is also consistently in-demand as an educator in both skin care and color. “The need is definitely there for a color line like ours – that’s why I created it. Like everything else I approach, I am dedicated to helping other professionals discover what I have to make their life better. The STRANDS group is not only a team, it’s family! As Mirela’s daughter who grew up in the business, Karina represents the younger generation of beauty industry professionals who bring their own sense of skill, service and passion to the company and to you, its customers. Overseeing the company’s marketing and communications, Karina also brings her own sense of style and fashion to the company’s color brand imaging. “Colorists today always think in terms of total fashion … what’s happening on the red carpet … on the runway … and every day in the lives of their clients. Their clients are product-educated, quality conscious and fashion-aware … and their hair color must reflect the current trends as well as today’s techniques and technology. 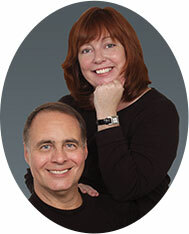 Pamela Pacheco has been pro-active in the professional beauty industry for over 35 years. As a respected stylist, color specialist, salon owner and educator, Pamela will readily tell you that she ‘loves the passion, professionalism and wonder’ of her industry. San Diego-based, Pamela currently works at Style Salon in the Ranch in the prestigious Rancho Santa Fe area of the county. She is the former Artistic Director for Spa Gregorie’s in Del Mar, and prior to that, owned Hair Studio RSF for seven years, also in Rancho Santa Fe. An experienced educator and platform artist, Pamela has worked closely over the years with companies such as L’Oreal, Wella, Schwarzkopf and Matrix. Her particular passion for color is clear, having presented for the International Color Exchange (IHE) and serving as an American Board of Certified Haircolorists (ABCH) board-certified Haircolorist and Evaluator. She is also currently hosting an ABCH Mentoring Program for colorists to prepare for the 2014 Board Certification exams. ABCH is a national non-profit organization dedicated to stylists/colorists who desire to take their career to the next level. The ABCH Certification Program challenges cognitive skills, practical application skills and critical thinking skills. It was through ABCH that Pamela and STRANDS Founder/CEO Mirela Marinescu first met and compared notes about professional hair color products and performance. After being introduced to STRANDS and working with the line, Pamela loved the color results…and an education collaboration was born. 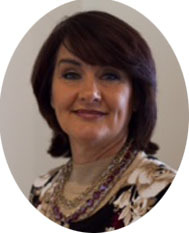 As STRANDS Education Director, Pamela oversees the brand’s overall educational direction, color curriculum content, class training programs and trend techniques. Amy Dahlstrom appreciates the strengths of the STRANDS brand. As an experienced colorist and educator who has worked with all the major hair color lines, Amy was very excited when she discovered STRANDS and its welcomed features as a permanent hair color line. Sharon Esche and Alex Irving, the co-principals of Esche & Alexander Public Relations, Inc. represent STRANDS Hair Color as its national public relations agency of record. E&A’s unique experience in the professional hair color category makes them a natural fit as part of the STRANDS marketing, education and sales team. The firm is currently overseeing the official national launch of the Strands permanent cream color line and its main brands, Reflexions and Color Lust. The communications team is helping to manage the company’s 2014 strategic marketing planning, national public relations launch campaign, event/show planning, new website launch, and interacting with the Strands corporate team and colorist spokespeople/educators.